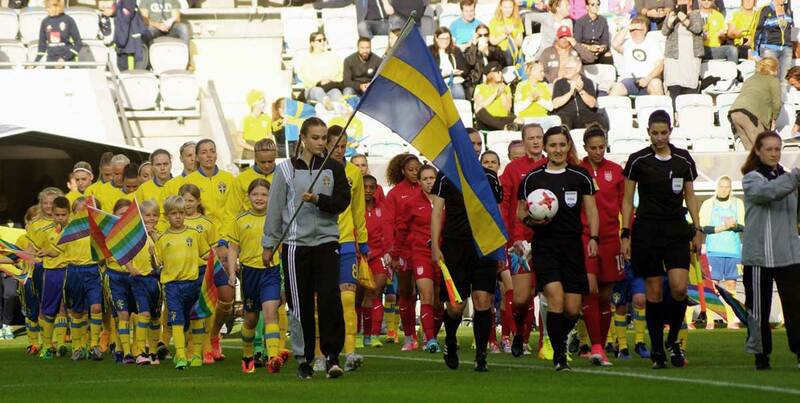 Sweden and the USA starters marching into the stadium. 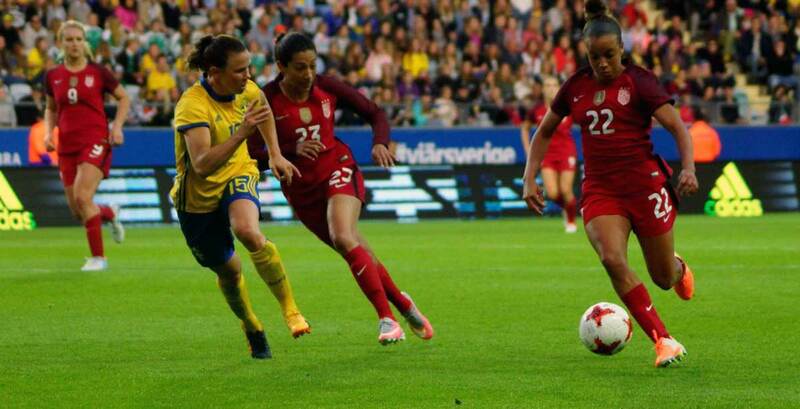 Mallory Pugh takes on Jessica Samuelsson. 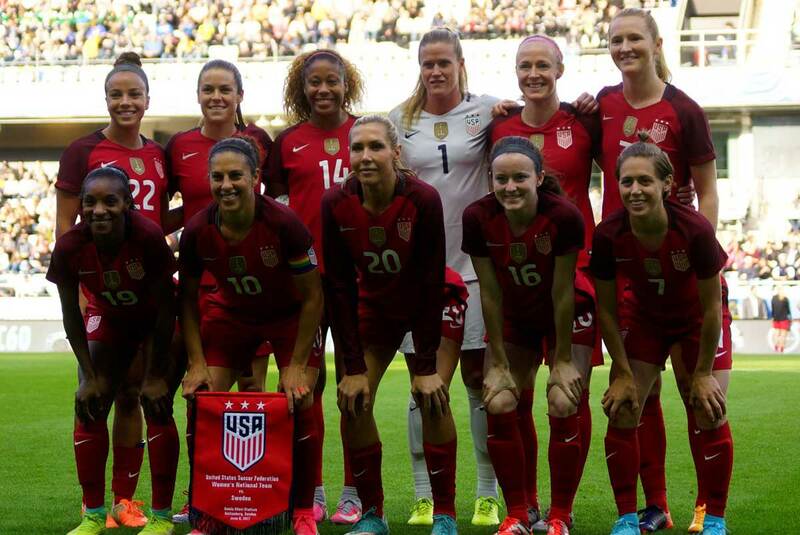 The United States starting lineup against Sweden. Rose Lavelle on the attack. Meghan Klingenberg is defended by Linda Sembrant. Mallory Pugh on the move. 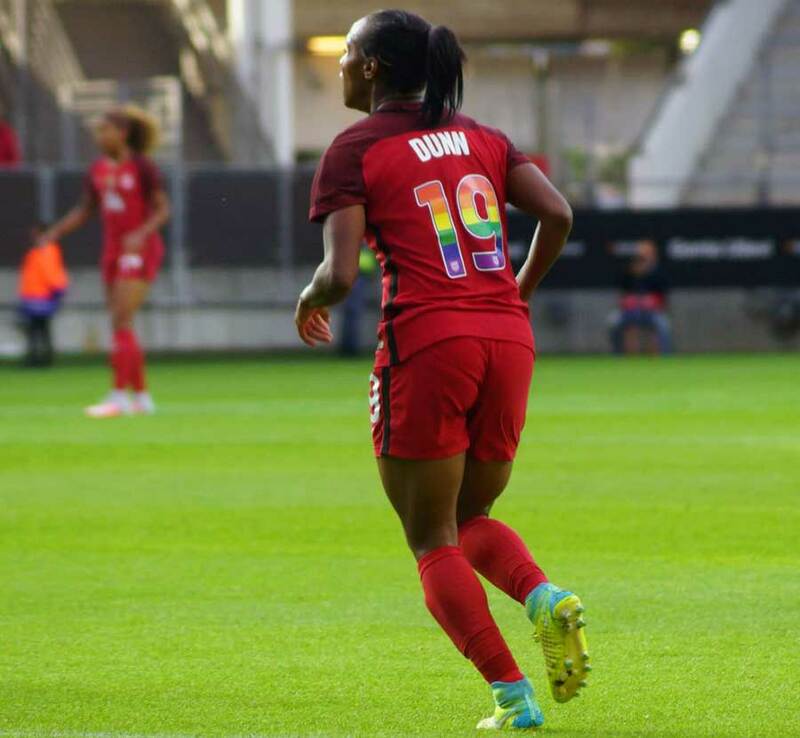 Crystal Dunn against Sweden. 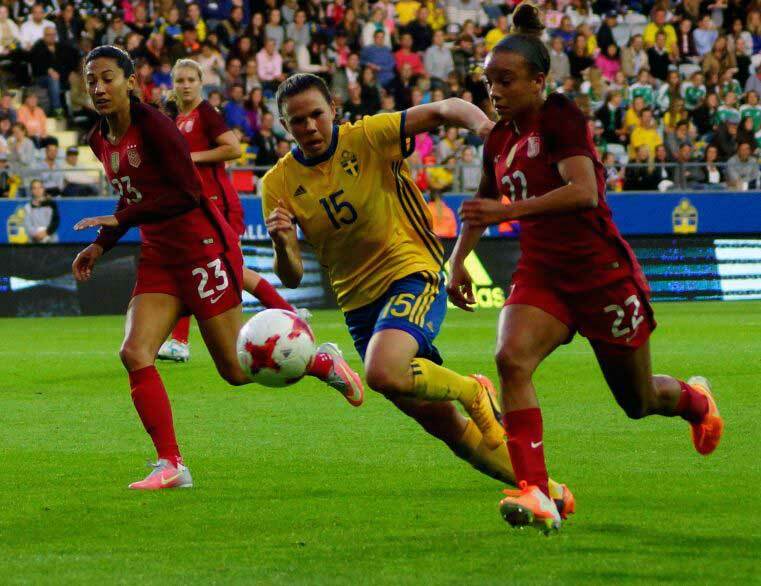 Rose Lavelle scored the only goal in the match between the United States and Sweden in Gothenburg, Sweden. Despite the final score line, it was Sweden who looked hungrier and played more aggressively, especially in the first half. Those who had expected Sweden to bunker like they did in the 2016 Rio Olympics were wrong. Playing in front of a home crowd of 10,011 fans, head coach Pia Sundhage wanted to see her team’s capability in the attack while looking to score. USWNT goalkeeper Alyssa Naeher left the stadium of Gamla Ullevi with a clean sheet, but Sweden came close to taking the lead or equalizing on several occasions. Olivia Schough had a chance saved by Naeher, Allie Long pulled the ball away from the goal line before what could have gone into the books as her own goal, and Naeher tipped a shot by Manchester City’s Kosovare Asllani off the crossbar shortly before the final whistle was blown. Sweden and the U.S. are in different situations. While the Swedes are preparing for the Euro 2017 tournament in the Netherlands, U.S. head coach Jill Ellis has almost two years to prepare for the U.S.’ next important tournament, the World Cup in France. 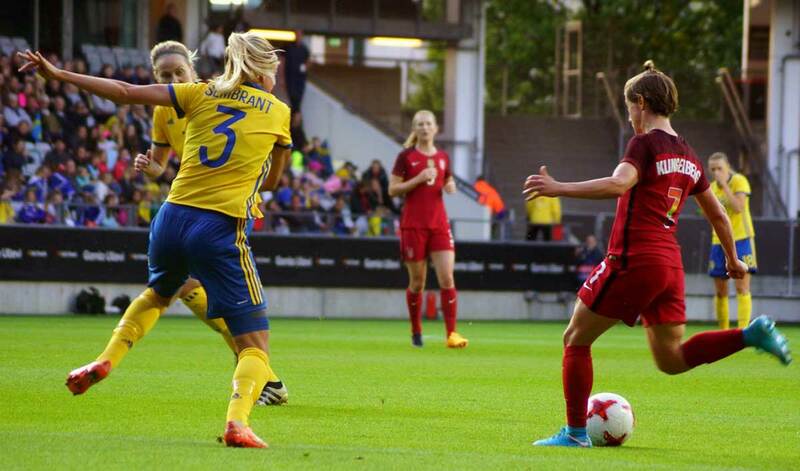 After the game, Sundhage said to the Swedish press that the result was not so important. Her team had played very well and created chances, but failed to convert them. Exactly that would be the finish in the forthcoming weeks, Sundhage said. On June 13, Sweden will meet Scotland in Växjö and on July 8 there will be a match against Mexico in Falkenberg, Sweden. Nine days later, the Euro tournament starts for Sweden against title holders Germany. Rainer Fussganger covers the Damallsvenskan, Sweden's top league.